Shure is a global leader in the professional microphone and high-quality audio equipment market with a large line of products including personal monitoring systems, headphones, earphones and various types of audio electronics. 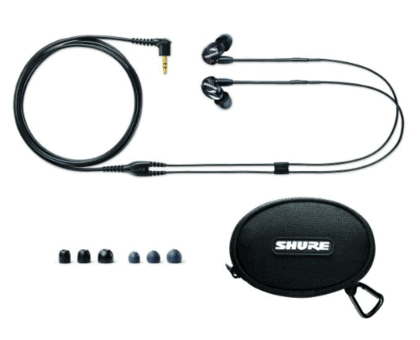 While some manufacturers are concentrated on only one segment of the marketplace, Shure offers products at almost every price point from budget priced products to commercial grade electronics for professional musicians. The days of settling for those cheap earphones that come with your smartphone are over. With a wide variety of high-quality earphone models to choose from users can now enjoy premium audio content be it on a phone call, listening to music or watching your favorite videos. Equally important is comfort and durability. Just because a pair of headphones offers high-quality audio doesn’t mean they have to be fragile or uncomfortable and that is exactly why Shure has become such a popular brand name with consumers and professionals alike. The SE215 Earphones are designed for individuals with an active lifestyle or professional musicians who need high-quality monitoring earphones while performing. They offer a level of versatility that few other models are capable of providing and off a powerful audio experience at a very reasonable price. It’s rare to find a perfect balance of sound quality, comfort and value all in one model of earphones, however, the Shure SE215 earphones claim to offer exactly that. Let’s have a closer look at these earphones and see if they deliver everything they claim. These earphones come in two colors, clear and black. Both offer an upscale appearance with a smooth and glossy finish that look the part of a premium set of earphones. The earphone cables are detachable and made with formable wire, ensuring durability and convenience. The box includes a few very handy accessories such as user manual, professional style carrying case and a cleaning tool. A cleaning tool is an accessory that is often overlooked by other manufacturers and while it is a small item, it makes a significant difference in the overall ownership experience. Perhaps one of the best features of the SE215 earphones is the washable and very comfortable sleeves that fit over the ear pieces providing a nice fit with the ear. Each pair of SE215s comes with multiple sets of sleeves in different sizes that can accommodate all different types of preferences and size of ears. There is nothing more annoying than a pair of earphones you would like to use but they just won’t stay in your ears or if they do, they hurt! This is not an issue with the SE215s, as they provide a snug but very soft and comfortable fit within the ear opening. 2 Final Thoughts – Are the Shure SE215’s Worth the Price? Perhaps the best feature of these earphones is the price, as they retail for just a touch under $100 (check pricing here). While you can find less expensive models, much the same any product you buy, you get what you pay for and it’s always best to seek the best value not just the lowest price. If quality audio is important to you then it’s important to understand a distinction between in-ear headphones and simple earbuds. Earbuds are specifically designed to fit in the outer portion of the inner ear but do not fit securely into any part of the inner ear. This can make the fit and comfort less than ideal. Additionally, due to the position of earbuds on the outer edge of the ear they have only minimal noise isolating capability. This is a stark contrast to actual in-ear headphones such as the SE215s, which are designed to fit partially inside the inner portion of an ear’s opening. Their positioning in the ear makes a huge difference in sound quality and deliver a much higher-quality and richer audio experience. In addition to better overall sound quality, their capability to isolate noise is also enhanced and offers a significant improvement over simple earbuds. Another interesting aspect of the SE215s is they offer a lot more technology in spite of their small size. Even though they are relatively small compared to on-ear headphones they are still much larger than earbuds. This is because all the sound enhancement technology has to go somewhere and it is packed inside the small ear pieces themselves. However, Shure did a nice job of making it all fit into a design that sits flush and comfortably while using the earphones. Detachable cables connect the ear pieces with whatever audio device you happen to be using be it a stereo, your computer or smartphone. While detachable cables are not necessarily a big advantage for day-to-day use, they can make repairs much less expensive and feasible should you have a problem with the earphones down the road. Probably a more important feature is that the cables are formable. This means they are flexible yet rigid at the same time, which makes it possible to orient the direction of the cables towards the ears and provide a cradle effect. This feature not only improves the fit of the earphones but also the comfort factor and it is just plain much more convenient compared to the connection wires that come with most budget style earbuds. One of the more noticeable features that some may think is missing is in-line control functionality. Unfortunately, the SE215s do not offer this feature which means you must use the controls that are available on the audio unit itself. Operation is not quite as convenient without this feature but given the price point of these in-ear headphones, it is understandable. The single dynamic microdriver is without question above average and offers a powerful audio experience among the best in its category. In fact, you may find that the bass or volume is just a bit too much at times like we did and have to dial it back just a bit. This is a big difference compared to simple earbuds, where you sometimes have to constantly try pushing them further into your ears in order to just get an adequate level of volume. While the sound quality isn’t in the category of some of the highest quality in-earphones on the market, they outperform a vast majority of models in its same price range and can even compete with some models that are a little higher in price. If the lack of in-line controls are a big issue for you, then you can choose to purchase an optional cable for the SE215s that offers complete controls. The cable is available for an additional $50 and depending on how attached you are to that type of functionality it can make a big difference. Final Thoughts – Are the Shure SE215’s Worth the Price? The SE215s are solid midrange in-ear headphones that offer a nice balance between performance, price point and comfort. 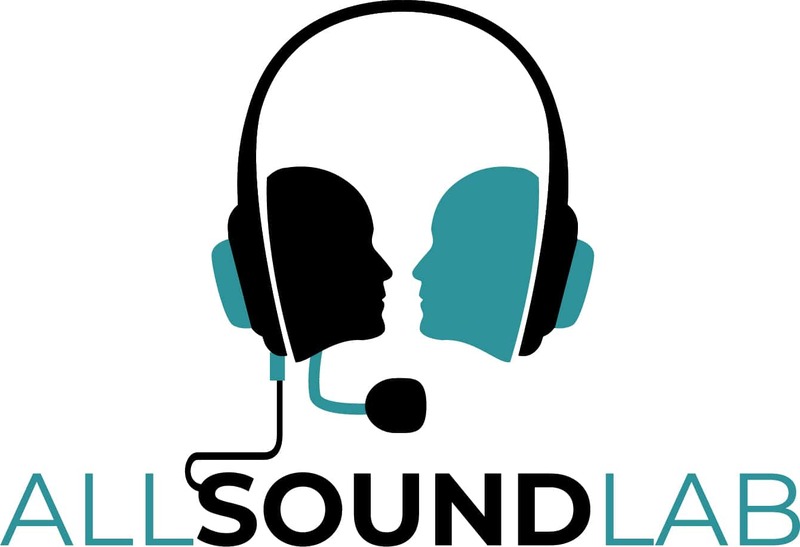 Its technology is proven and the overall construction of the headphones based on appearance and past customer reviews is excellent. These headphones probably won’t blow you away in any one category of performance but they do everything well and the comfort is far above the average pair of earphones in its category. For under $100, or $150 if you want in-line controls, you get a pair of headphones that offer the best basic features of a premium pair of earphones as well as sound quality that is well above any pair of budget earphones. We have no issue recommending the SE215s as an overall solid value for music enthusiasts, professionals and those who are seeking an above average audio experience without spending a lot of money.